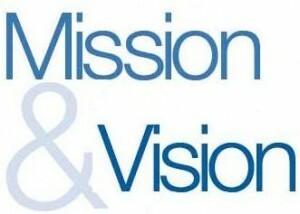 Mission and vision often get confused. A company’s mission is a brief description of what it sees as its underlying purpose or raison d’être. In its early years, Microsoft’s mission was ‘A computer on every desk and in every home’. In contrast, a vision is a picture of where a company aspires to be at some time in the future usually 5-10 years hence. And a statement of strategy is the key steps or strategic thrusts that the company intends to take to turn vision into reality.